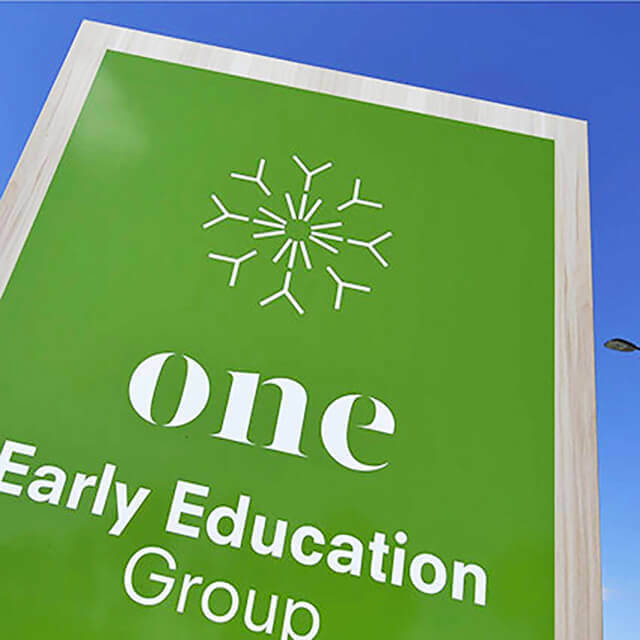 One Early Education Group is a childcare centre who champions the whole child and use every opportunity to nurture the best possible expression of each child, putting special emphasis on brain development and its importance in early childhood education. The childcare market was becoming increasingly crowded and hard to create differentiation with a government mandated approach to early years learning framework the structure of learning. With new child care centres popping up everywhere it was imperative to create this new brand with a clear differentiator and proposition. The brief was to create a childcare centre brand that stood out from other players in the market and was compelling for families to send their children. Built around the essence of ‘The Thriving Child’, One creates an environment where infants and children can thrive in their daily interactions. The brand proposition drives a powerful platform and story for how One champions children and nurtures their development in the early years. This in embedded not only into all the marketing but also inspires the centre’s education framework and staff culture. Green was chosen as the primary colour for the brand to create a connection to the environment and create a softness to the brand. 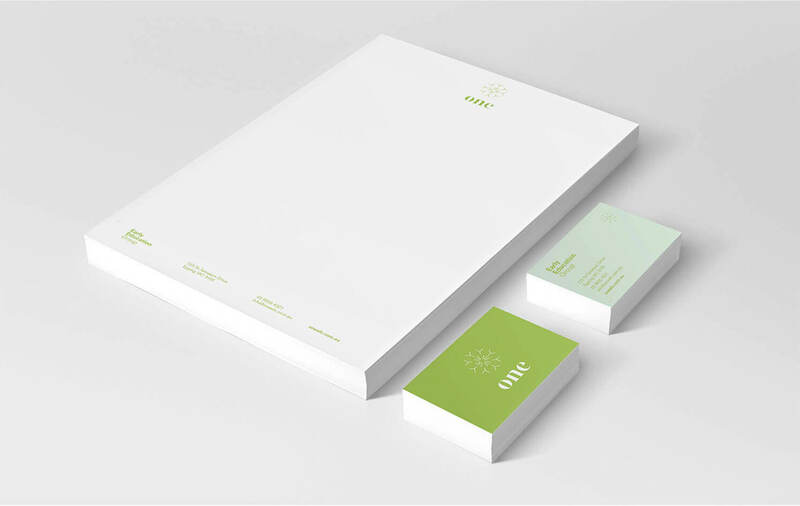 The branded needed to convey a bright, inviting, warm and real ethos through all communications collateral. We deliberately steered away from over-used primary colours for the brand colour pallet instead focussing on softer colours that aligned with the natural textures and timbers that were being used in the architecture of the centre. Imagery focussed on children’s imagination, adventure and sensory experiences rather than being in closed environments focussing ton typical scenarios like other child care centres. 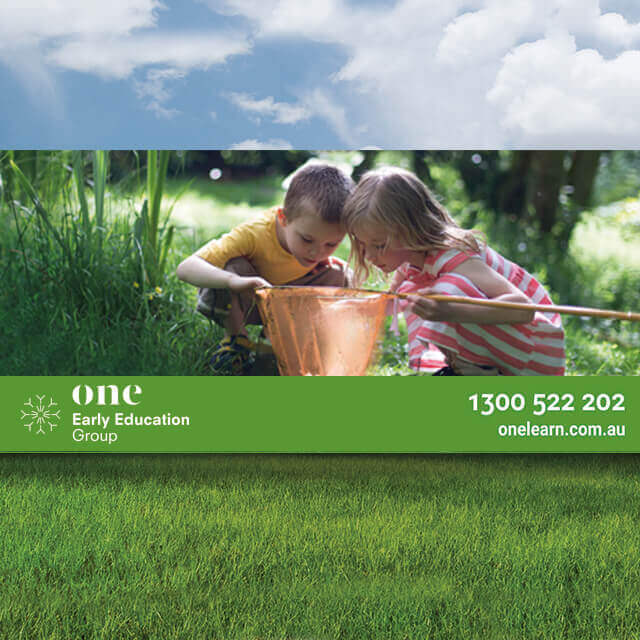 The centre also offered a high quality, stylish and modern child care service that needed to be conveyed in the brand design. The simple, clean and elegant type mark combined with the modern visual language helps to portray this.